It’s taken me too long to get around to collating the Exchange Unwashed digest for August 2015. 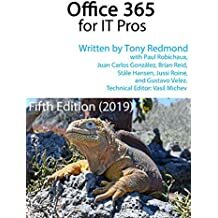 I plead vacation, the need to manage the submission of session presentations for this month’s IT/DEV Connections conference in Las Vegas, and the final preparation of the second edition of “Office 365 for Exchange Professionals” in mitigation. However, better late than never, so here’s what happened during August. ESEUTIL – even more evil for DAGs (August 27): A continuation of a previous article outlining why the ESEUTIL utility can be problematic when used to process mailbox databases that belong to a Database Availability Group (DAG). Quite a few people responded that they liked using ESEUTIL and consider it part of their toolkit. That’s just fine, as far as it goes, assuming that you understand what happens when ESEUTIL processes a database and what might occur when you bring the database back online. A brain surgeon can cut into your central cortex with confidence, but would you allow some guy off the street to do the same? Removing on-hold items from Exchange and SharePoint: unsupported but doable (August 20): Despite what some of their spokespeople might imply, Microsoft does not have the answers to all the technical requirements that companies might have. At times, little gaps are left that are either filled by a third party product or by a workaround. In this instance, it’s the latter – a set of steps that can be taken to remove on-hold items when required. The key is to do so in a way that will stand up to legal challenge – and that’s the hardest bit. Windows 10 Build 10525, PowerShell, and Office 365 (August 19): Everyone knows that Exchange uses remote PowerShell to manage its services, but in an Office 365 environment you have to connect to different endpoints to access different services. The Compliance Center is one of those, but running PowerShell to connect to the Compliance Center on any Windows 10 build after RTM is guaranteed to be a frustrating experience. I’ve complained to Microsoft but no one seems to be able to fix the problem. The other PowerShell endpoints work quite happily. New report slams Office 365 compliance features unfairly (August 18): Independent reports about product functionality serve a useful purpose by holding vendors like Microsoft to account and providing potential customers with a view as to whether the products will actually work for them. I received a report authored by Osterman Research and didn’t think it was accurate enough and contained too many broad generalizations to be useful, so I said so. You can read Michael Osterman’s response to my comments too. We haven’t fallen out – I think! Frenetic pace of change continues in Office 365 (August 13): Microsoft told us that they had made 450 changes to Office 365 in the last year. That’s a staggering number. Think of how you would manage such a volume of change in one of your own IT systems – it would be terribly difficult, if not impossible. Now think of scaling up for tens of millions of users. Uuugh. Tony’s surprising session choices for IT/DEV Connections 2015 (August 6): With IT/DEV Connections just around the corner, I like to examine the sessions to decide what ones I would attend if I had the choice (as I’m a conference chair, I’ll probably be running around too much to get to many sessions). This year I selected some of the sessions that go into detail about SharePoint Online, the Office Graph, and Delve because I think these will help those who are moving to the cloud to maximize the value they get from Office 365. I hope I have made the right choice! The unnecessary renaming of Outlook Web App (August 5): Microsoft is making an attempt to convince the user base that the old OWA name should be modernized to “Outlook on the web” (note small w for web). I think it’s a silly exercise. What do you think? Power BI’s odd integration with Office 365 Groups (August 4): The news that the Power BI team had enabled Office 365 Groups as a way to manage workspaces seemed like a great idea. But the integration work is not well done and leaves many holes that should be filled. And now Microsoft wants a Power BI Pro license before you can use the integration. Fortunately, the Power BI team acknowledged that they should have done better and are working to improve the situation. Hopefully, we’ll see the result of their work soon. September has already proved interesting and I anticipate even more to talk about once I meet with my MVP buddies and other technologists at Connections in the Aria Hotel next week. I look forward to meeting those who attend Connections. It’ll be a fun time. This entry was posted in Cloud, Email, Exchange, Office 365 and tagged Compliance, IT/DEV Connections, Office 365, Office 365 for Exchange Professionals, Office 365 Groups, OneDrive for Business, Outlook Web App, OWA, Power BI, SharePoint Online. Bookmark the permalink.